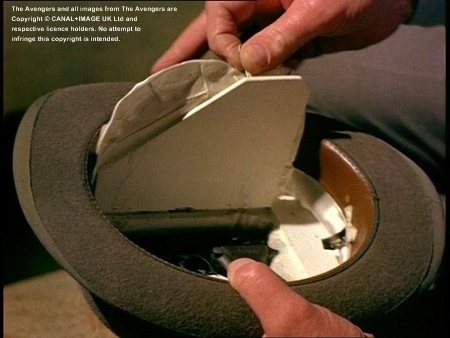 Steed's bowler hat is a dangerous weapon and efficient protection for the agent as the bowler hat has a steel reinforcement. 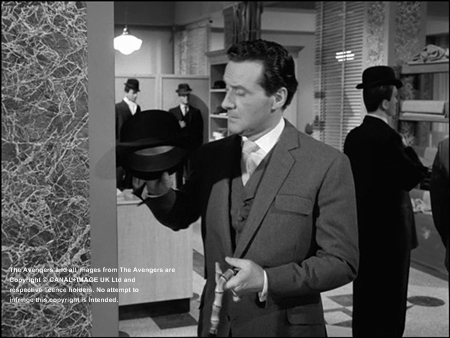 Many of Steed's enemies have to make the painful experience that the bowler hat is much more than an upper-class gentleman's piece of fashion or have to learn that a normally deadly blow on the head does not kill Steed thanks to the bowler. 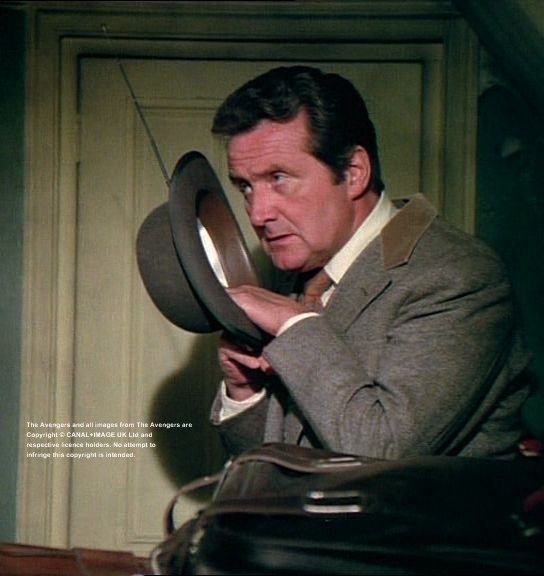 For that reason, John Steed is always very sad when one of his trusty bowlers gets destroyed. In TNA Hostage Steed had a bowler with a hidden safe for a gun, a Walther PPK automatic. 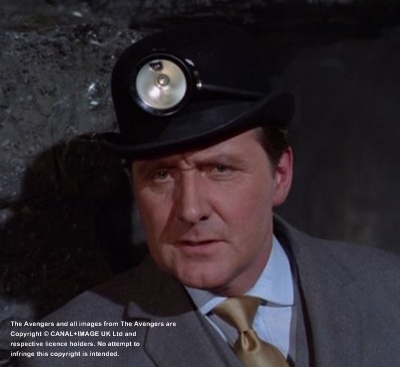 In TNA The Eagle's Nest John Steed's bowler is still lined with chainmail, but now the hat has an integrated radio device, a radio transmitter.